The book; which will be printed in 2018, will be a large scale, 9”x12” hardcover book, about 88 pages long, with 13 full page illustrations, 3 of which are full spread. 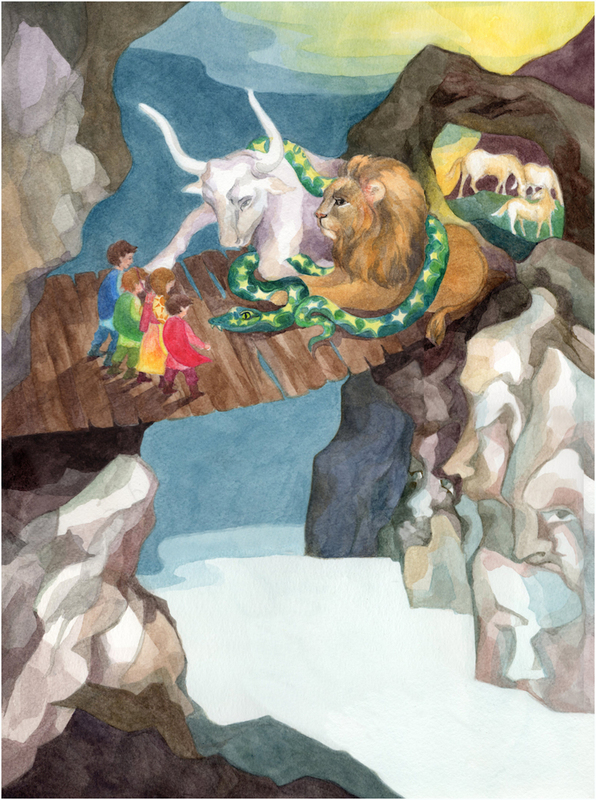 41 pages feature smaller watercolor illustrations and many hand-drawn graphic motifs and vignettes accompany the text. An image from an unpublished children's book project by Ella Lapointe. 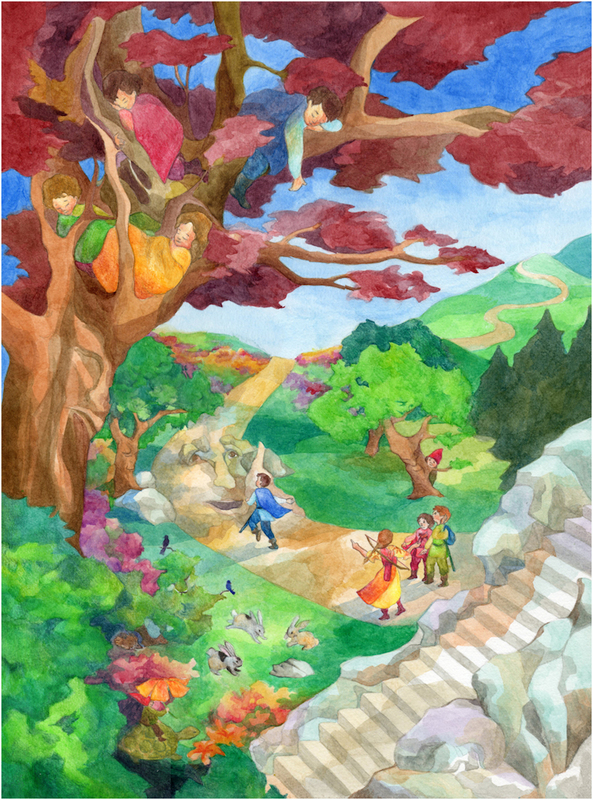 An image from an unpublished children's book project.